I wrote a Vim script blogger.vim which handles blogger (blogspot) by Vim. This entry is powered by the baby blogger.vim. Blogger.vim is the only one vim script which handles Blogger using metarw. I wrote a ruby script blogger.rb and used it for blogger.vim. 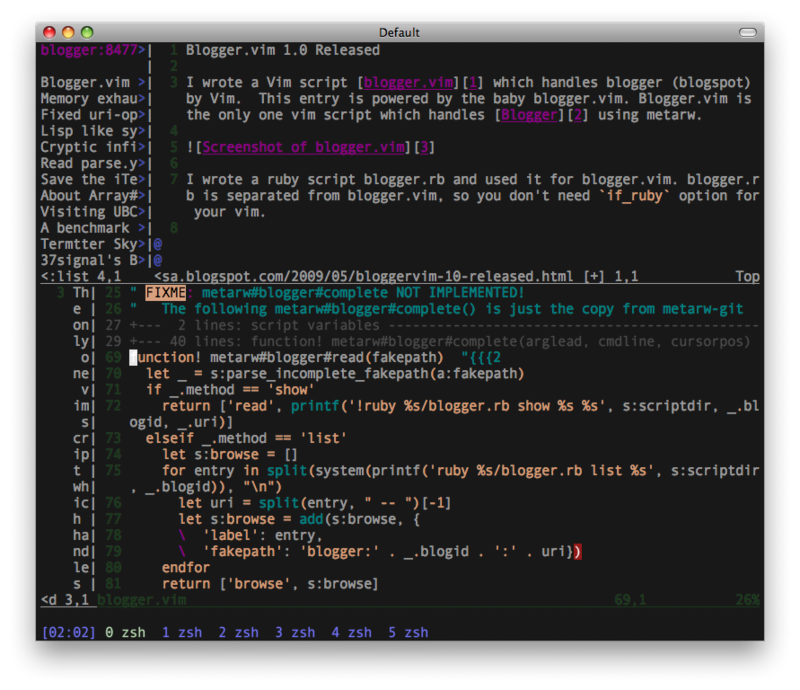 Blogger.rb is separated from blogger.vim, so you don't need if_ruby option for your vim. Blogger.vim 1.0 has a lot of known bugs and unknown bugs. If you find a bug, please let me know it after reading the known bugs section of README.md.